What to Expect from a Property Management Company? If you own a number of properties (or even one) but don’t have a lot of time on your hands, then consider the professional services of a property management company. Property management is a way for an owner of rental or commercial properties to ensure their property is in good hands. It’s a way to free up time and bridge any management gaps that you may experience while overseeing your properties; whether it’s a commercial properties in Columbus, Ohio, industrial properties in Bexley, Ohio, or residential properties in Dublin, Ohio. But what should you expect from a property manager? 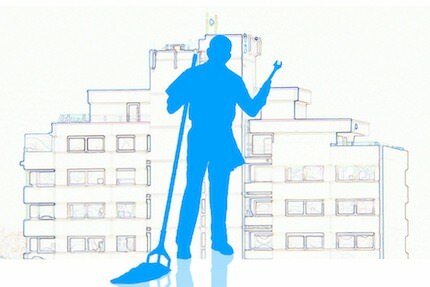 We’ve outlined the most pertinent tasks below, which are typically expected from property management companies. It’s your property manager’s job to keep you fully abreast of all that goes on in or around your property; on the other hand, he or she will not come to you with every issue that develops. A professional property management company is able to determine when you need to be informed about matters in advance, and when you can be updated after the matter has already been resolved. Overall, the purpose of hiring a property management team is to make sure that somebody you can trust is watching over your property. It’s almost impossible for an owner to deal with the minor necessities that are involved in owning a rental property, especially if you have other business to attend to. And, as a property owner, you are likely an expert in a field other than property management. That’s why hiring professionals with many years of experience is not just easier on you; it can also be a solid business decision to make sure the best person you can find is in charge, even if it isn’t you. In order for a property to run efficiently, you’ll need an expert in the field who is always ready to manage the daily operations, and immediately (and proactively) resolve any issues. To get the job done right, you need a reliable, reputable, and trustworthy property management company to handle all of your property management needs. Contact The Robert Weiler Company today at 614-221-4286.